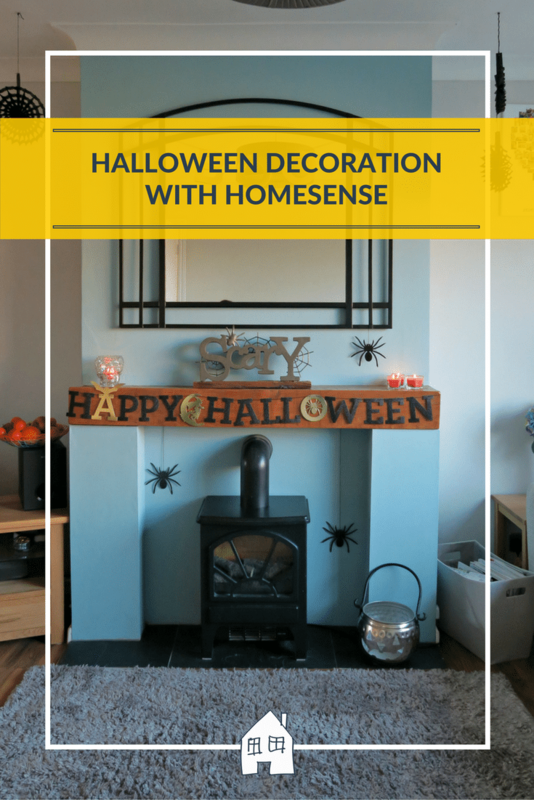 With Halloween fast approaching I am going to pop up a few Halloween posts for you, I have already put together a list of Halloween themed kids books for you to read, but today I am going to show you how I have decorated a small area of my home. 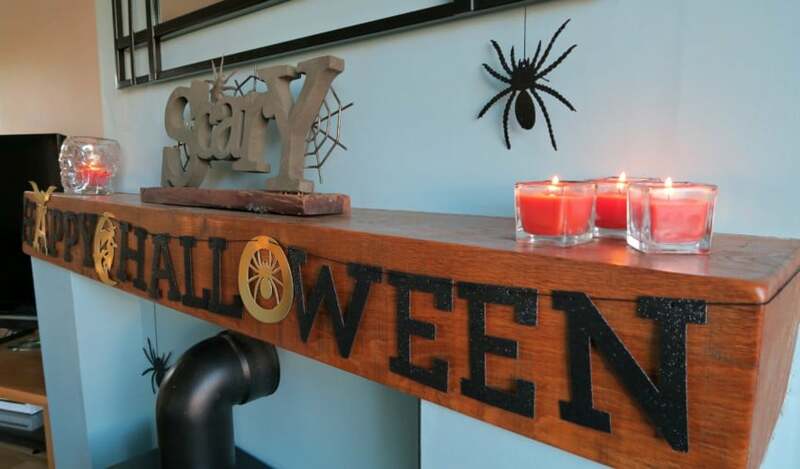 My fireplace has now been spooked up, with Halloween themed decorations from HomeSense. 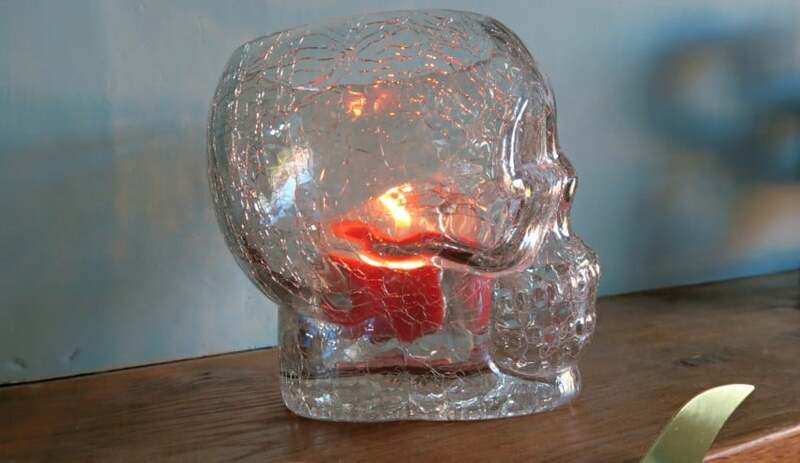 When I was asked to go along to my local HomeSense store, and see what spooky items I could find. Although I must admit I didn’t expect to find shelves full of items, there was decorations, dressing up and of course some yummy food treats! Which I did manage to resist! 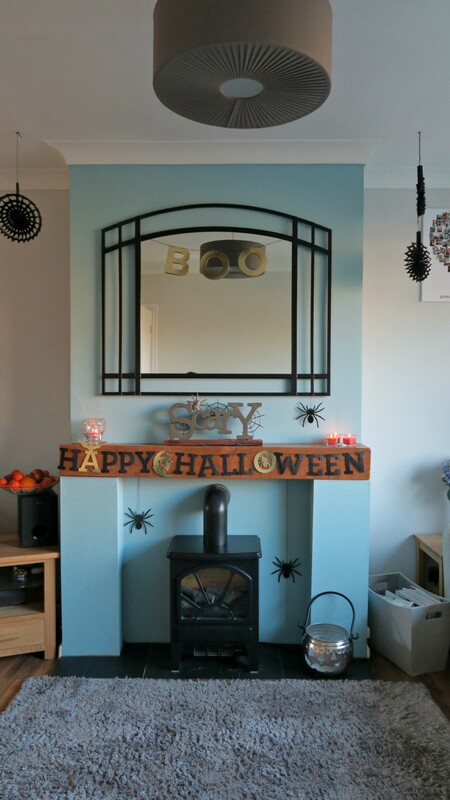 The kids faces was great when they came home from school, ‘Oh wow Mum is it Halloween soon?’ well kind of, one problem with blogging is I have to do things more in advance than most people would, but at least they will be well and truly ready for Halloween when it comes to it!! 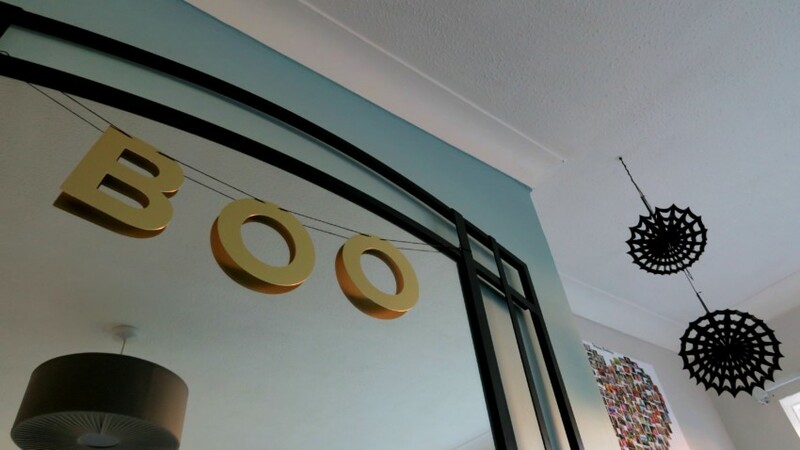 I am really pleased with how it has turned out, just enough but not over the top. 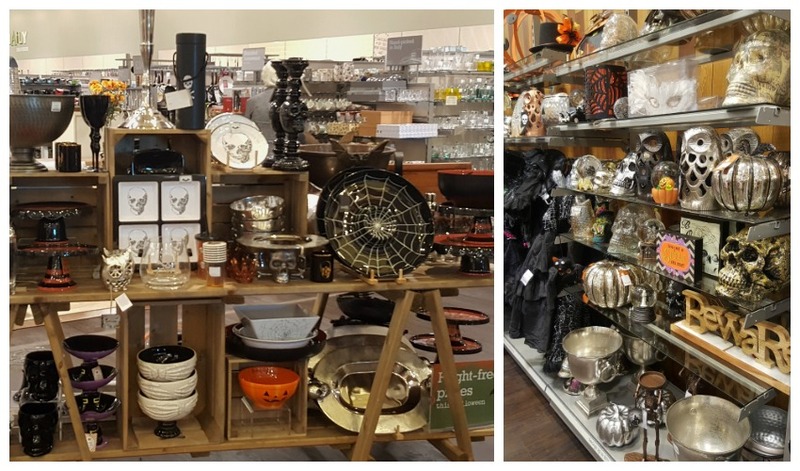 If you’re looking for some Halloween items do check out your local HomeSense as it is full of things, I could have purchased loads! 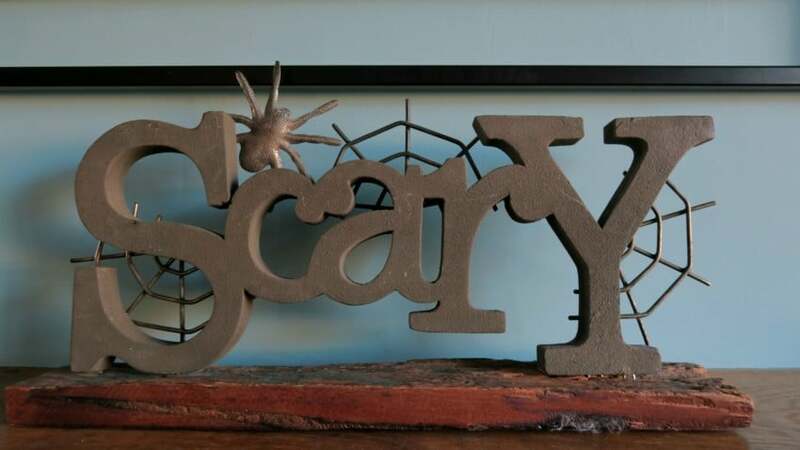 I didn’t realise HomeSense would stock so many home-related Halloween decor ideas. 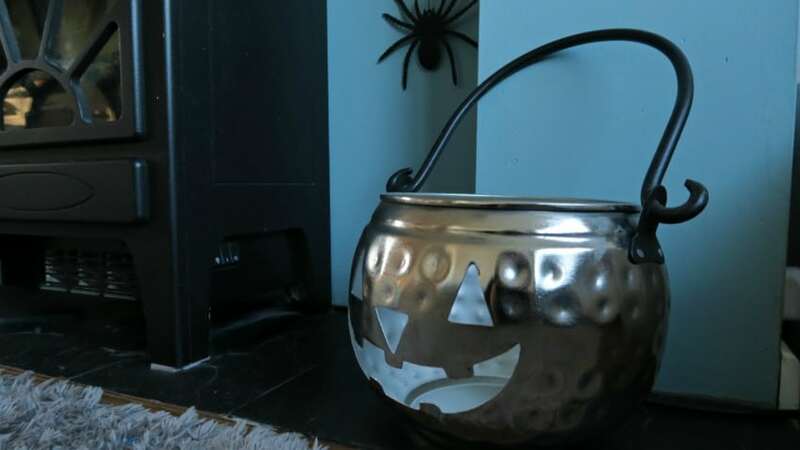 You’ve picked out some fun items – I love the look of the silver pumpkin in particular (it could save all the hassle of carving a real one!). I really love what you picked out. HomeSense is my favourite store! 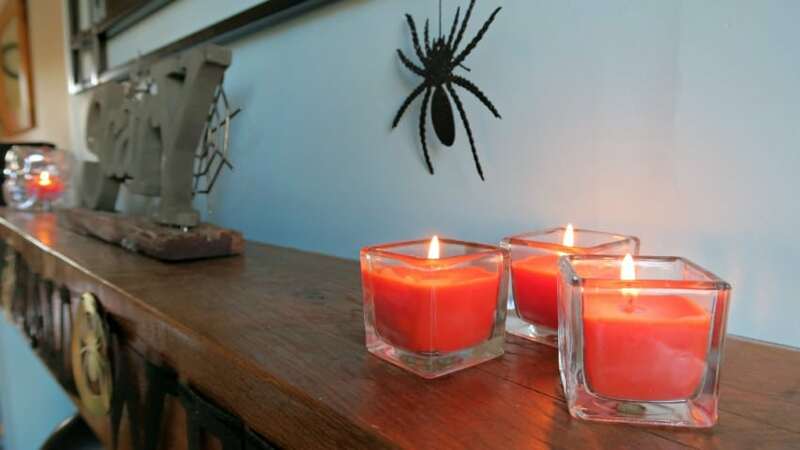 Love the decorations, those spiders are really creepy though! Oh I do love a good rummage around Homesense! I’ve not been for a long time and I really should! Hey Suzie! HomeSense is in Hedge End, by Burger King? Sooooo much in there! I love this all – I wish I had a Home Sense closer by to me. 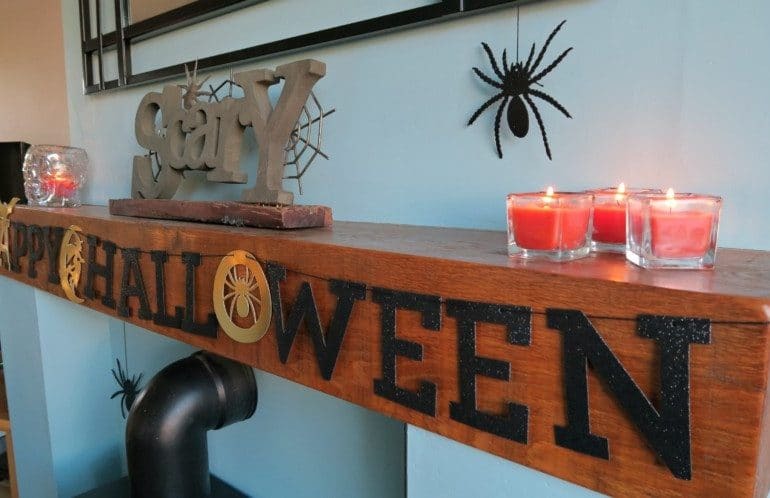 The pumpkin cauldron and tealight holder are my favourites. Its fun to decorate for the seasons!